Successful models of university-industry relations are very important in aligning competencies, fostering innovation and funding research. This week Dr. Maggie Johnson shares some of the initiatives at Google. Also see earlier interviews with Dr. Jim Spohrer, Director, University Relations, IBM and Dr. Ganesh Natarajan, CEO, Zensar. Maggie Johnson is Director of Education and University Relations for Google. She manages all technical training and leadership development programs for Google engineers and operations staff, as well as Google’s educational outreach efforts. She also manages the university relations area, building strategic partnerships with faculty and labs globally. 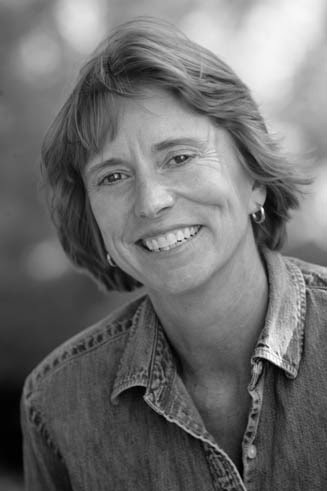 Prior to Google, Maggie was a faculty member and Director of Undergraduate Studies in the Department of Computer Science at Stanford University. Rahul- What excites you about your role as the Director of Education and University Relations, Google? Please share a couple of projects/initiatives you are most proud of? Maggie- Google has a number of exciting initiatives in education. Some are described here. One interesting project is our App Inventor visual programming interface for Android. Mobile is the next gateway to get educators and students excited about computing. App Inventor is aimed at empowering K-12 and undergraduate students to build useful Android applications without any programming experience. Rahul- You have extensive experiences both as an academician at Stanford and as a corporate professional leading university relations at Google. Based on your experiences, what are the critical success factors in building sustainable university-industry collaborations/programs? Maggie- One important factor is finding areas of mutual interest. Our most successful research collaborations are those where we have a strong interest internally in the results of the research, and we are working with academic researchers who are experts in these areas. The collaboration works because both parties bring essential experience and expertise to the table, and the results are beneficial to both. Rahul- You are also responsible for technical training and leadership development programs for Google engineers and operations staff. Please share what are the top competencies which engineers have not gained from their college education and how do you bridge this gap? Maggie- Our hiring practices are very successful in assessing technical skills and potential. What our new graduates find most challenging is not typically in the technical area, but more in the “soft skill” area. Things like being able to communicate and present their work effectively, managing their time and workload, working on a team, etc. We address these areas directly by providing mentors, courses and online resources to help them make the transition from college to industry. The interview of Maggie Johnson and her presentation are very interesting. It should not be very difficult for the boards of studies of our universities to adopt the good practices. The example Ms Johnson has given is of a procedural language, not declarative or object oriented language. It would be nice for her to take software objects and show how to orchestrate them to achieve some higher level functions. Better still, any of our CSE experts can do it. Dr Rahul Choudaha…lets do it and show our own creativity / innovation on how to teach / learn!I find Java and C++ are still complicated. I wish there were simpler OO Programming Systems that make it easy to instantiate objects and let them carry out some useful functions.